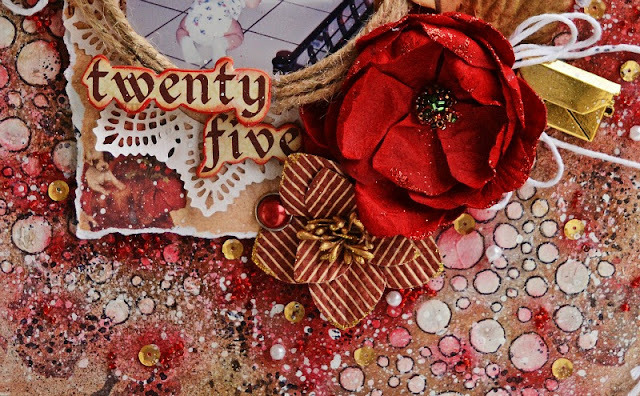 Finally I can tell you a happy news that I'm in the 2016 Studio75 Design Team. 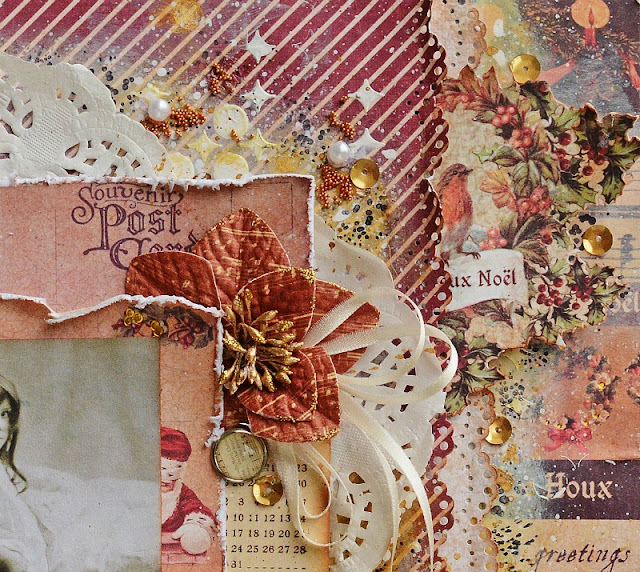 Can't wait to share with you my projects with these gorgeous products. so you will not miss any projects for the talented design team. 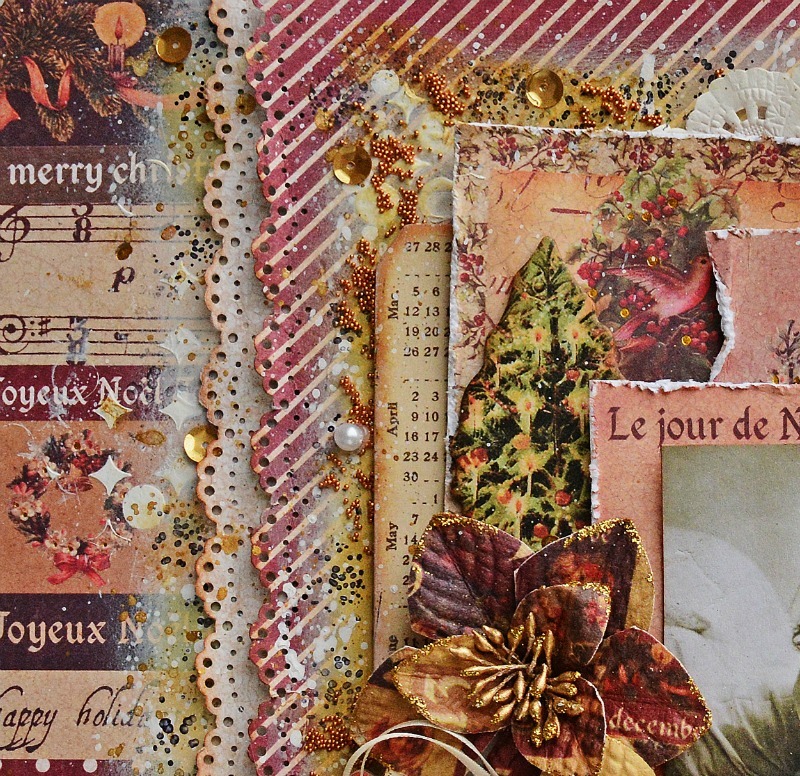 Hello dear friends! 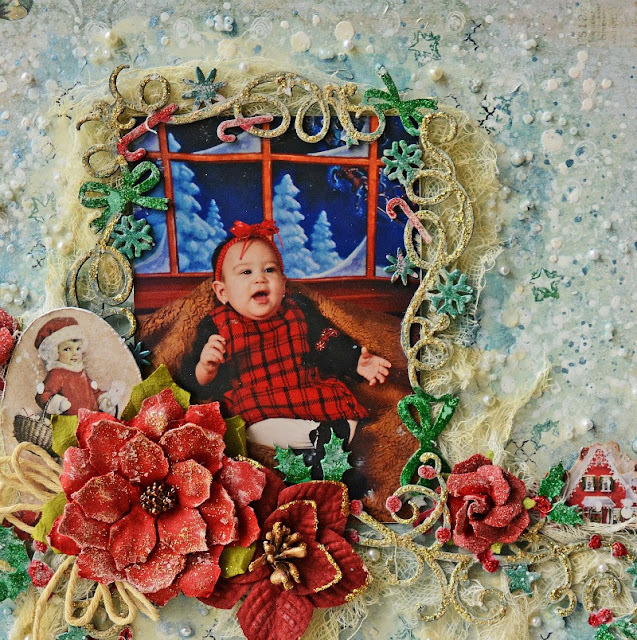 I hope you are having a great Christmas so far :)....like I told you in my previous post I'm sharing with you projects that I made last November for this month. Today's post are two layouts and a video tutorial with the Limited Edition kit by My Creative Scrapbook. 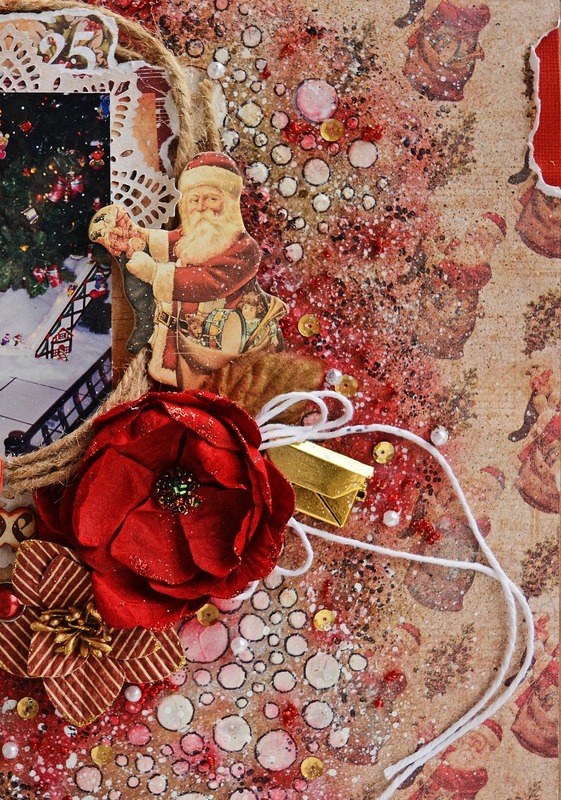 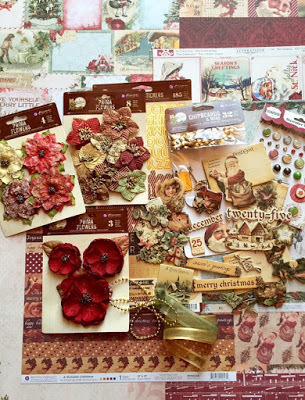 This gorgeous kit is perfect to work all our Christmas memories , it's featuring: A Victorian Christmas collection by Prima, Vintage Christmas papers by Blue Fern and lots of beautiful embellishments, flowers and Color Bloom by Prima. 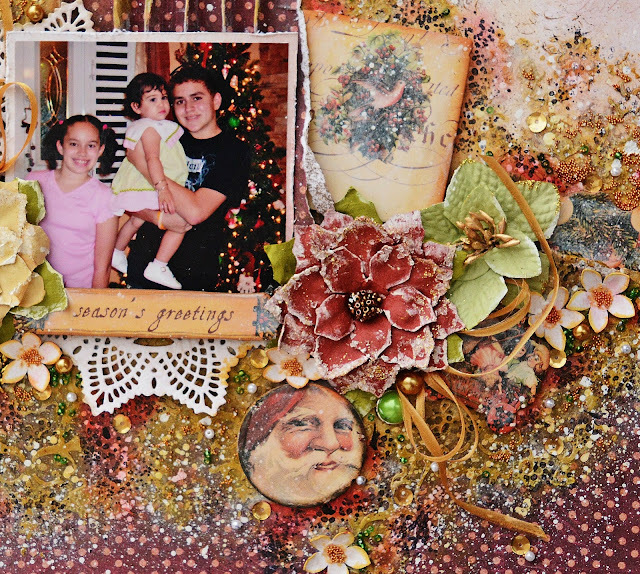 This page is about a lovely memory of my kids with my dear niece Sabrina a few years ago in my mom house in PR. 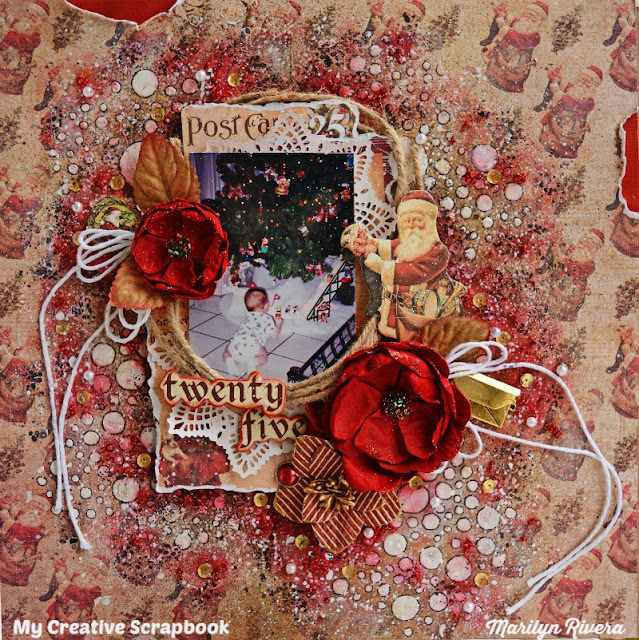 I prepared a video tutorial of this page that you can see all the creative process at the end of the post, I hope you enjoy it ! 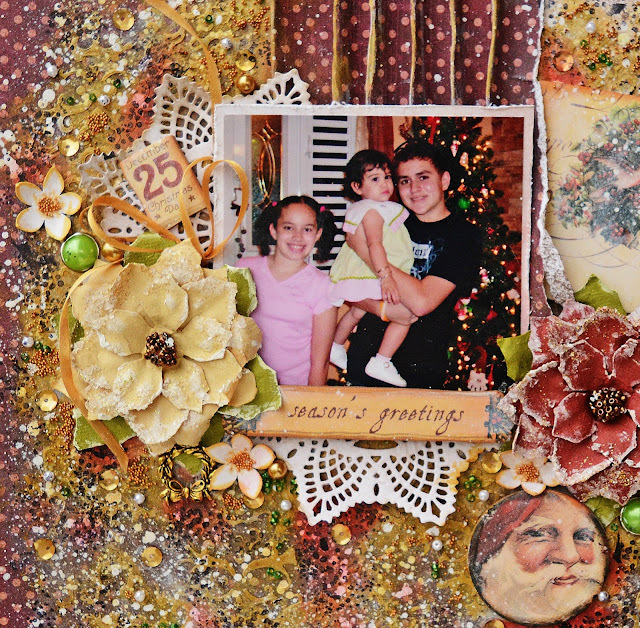 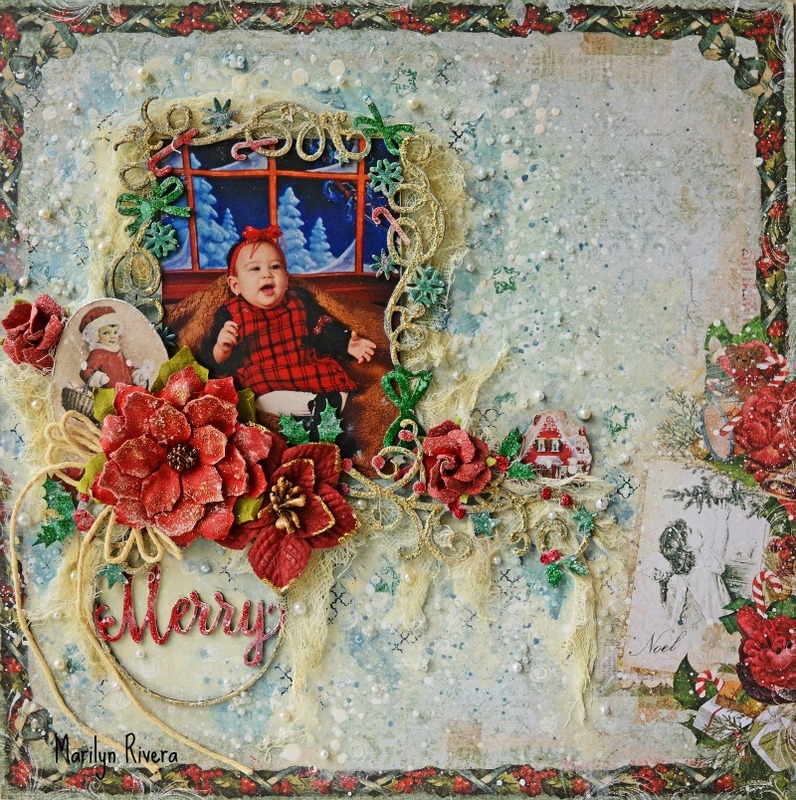 I worked this page with the Victorian Christmas collection by Frank Garcia for Prima Marketing. 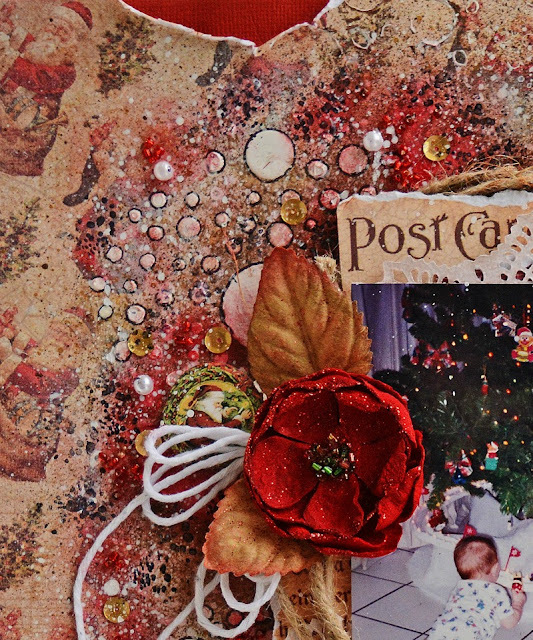 Watersolubles Oil Pastel by Prima. 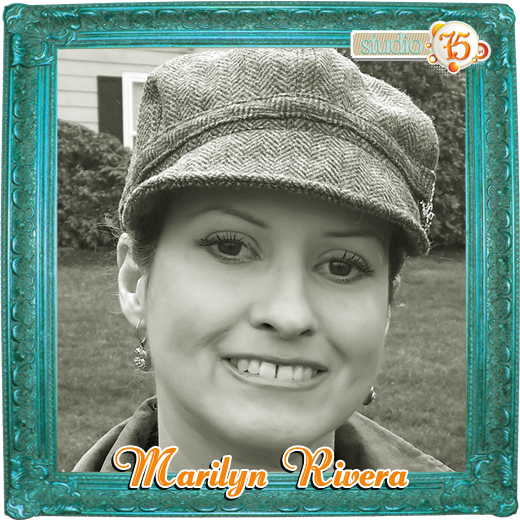 Thanks for stopping by....Until Next time!!! 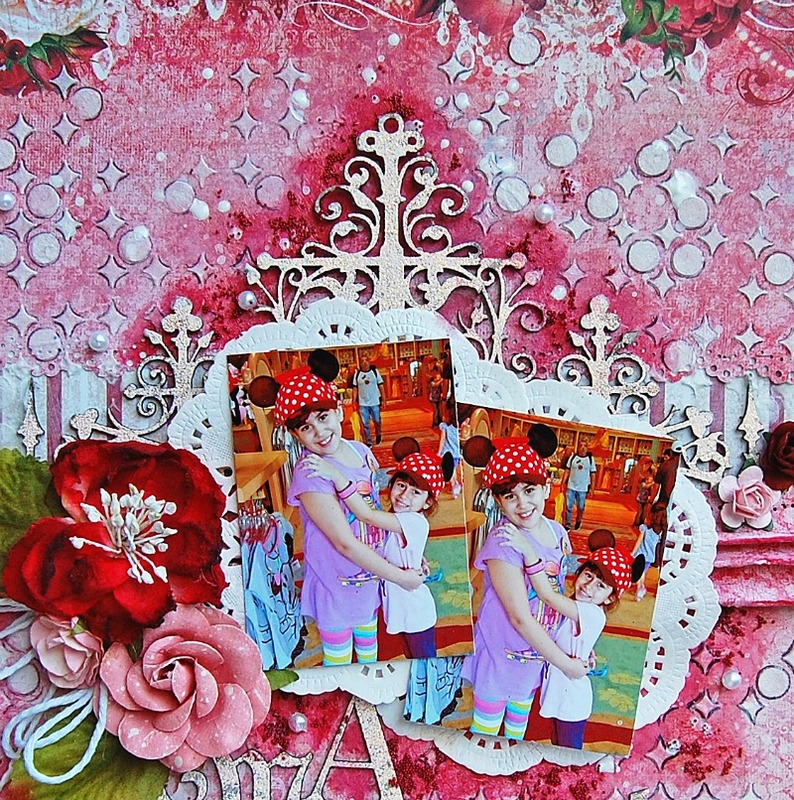 Hello my lovely friends! 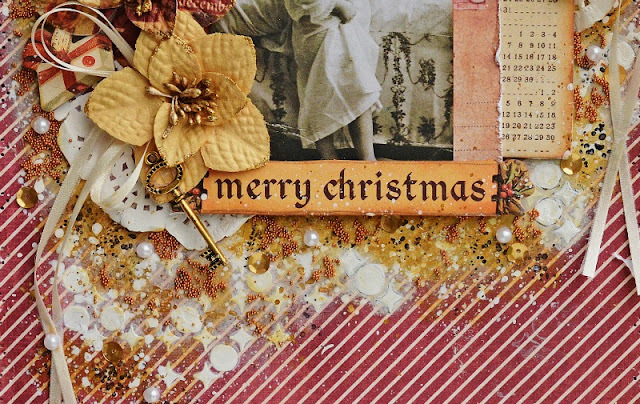 I hope you had a wonderful Christmas Day. I've been missing in action, well the doctor sent me to the hospital and I've been very sick so I had to take a break, I'm still recovering but meanwhile I have a few projects and videos to share with you in the next days. But today I want to share you two project and a video tutorial with the Vintage Christmas collection by Blue Fern Studios. This page is about my niece Sabrina in her first Christmas. I selected the Holiday Frame, Word Ornament, and the Holiday Vine chipboards that I gave different techniques that you can see in the video tutorial at the end of the post. This beautiful paper is "Noel"from the Vintage Christmas collection. 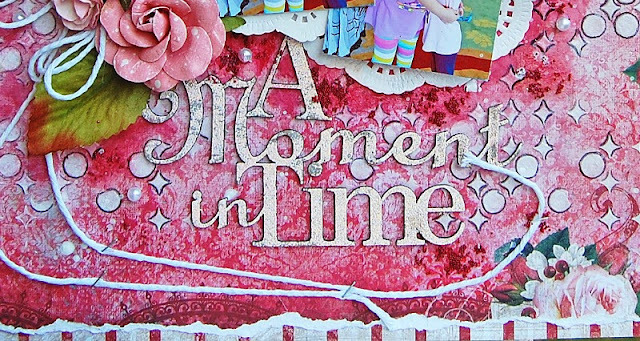 I used the Lucky and Fern embossing powder on my chipboards. I cut out this cute red house from the "Greeting Cards" papers. 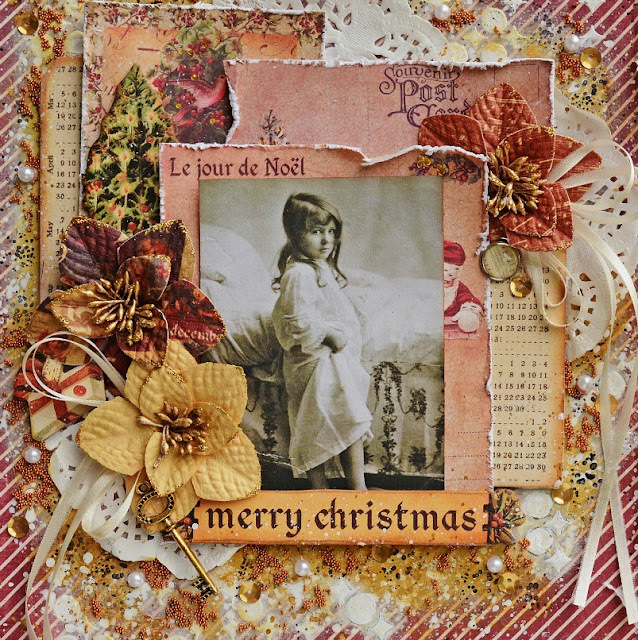 I selected one of the word ornaments chipboard as my tittle. My second project with the Vintage Christmas collection is not about Christmas, how versatile is this collection, right? My nieces went to Disney World and I made this page about it using the same collection. 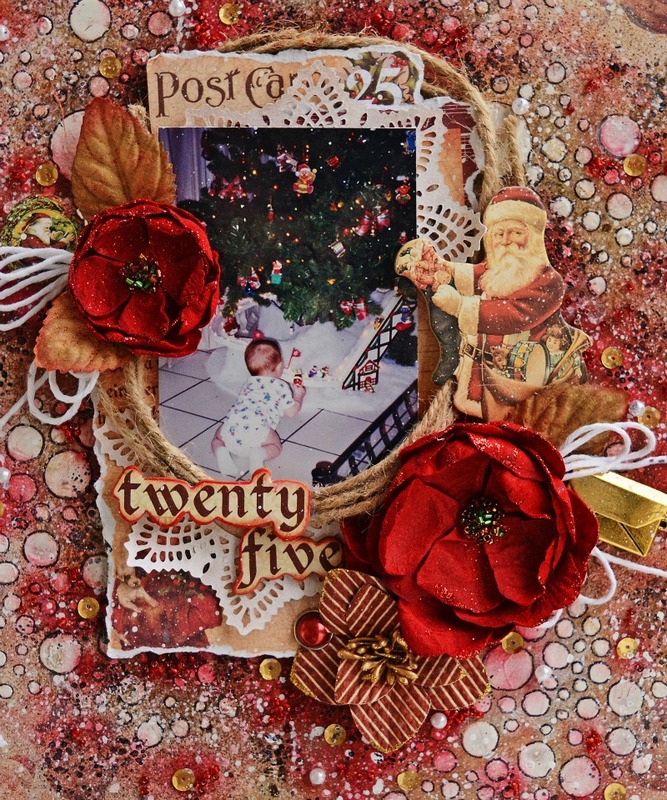 I used The Deck the Halls paper as my background and the French Iron Work and A Moment in Time Chipboards that I embossed using the Petal embossing powder. Thanks for your visit ...come back tomorrow for more projects and inspiration! Hello everyone!! 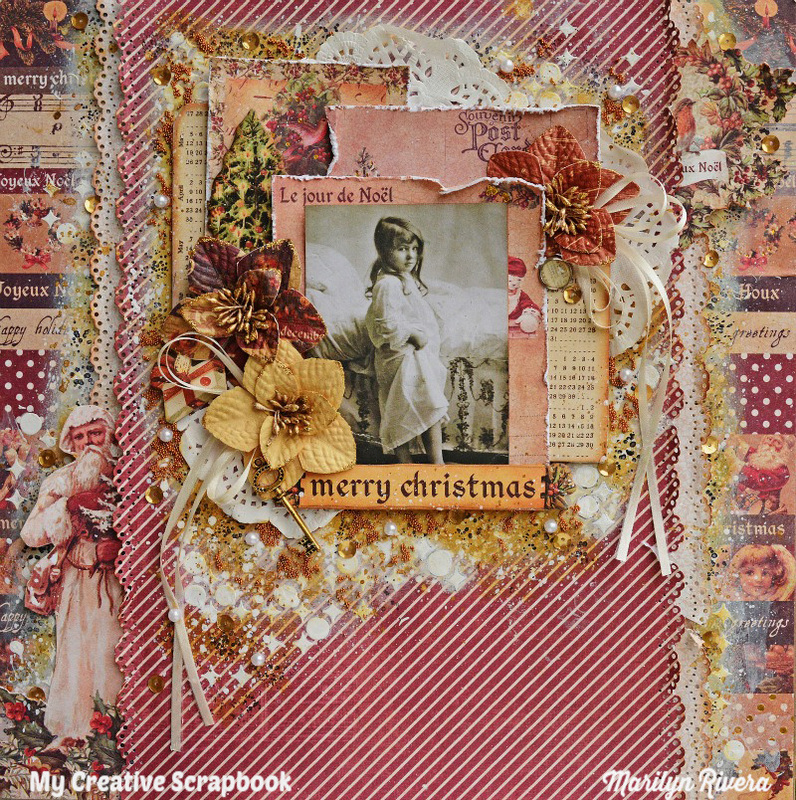 My Creative Scrapbook December kits are amazing, four different kits for each scraper style. 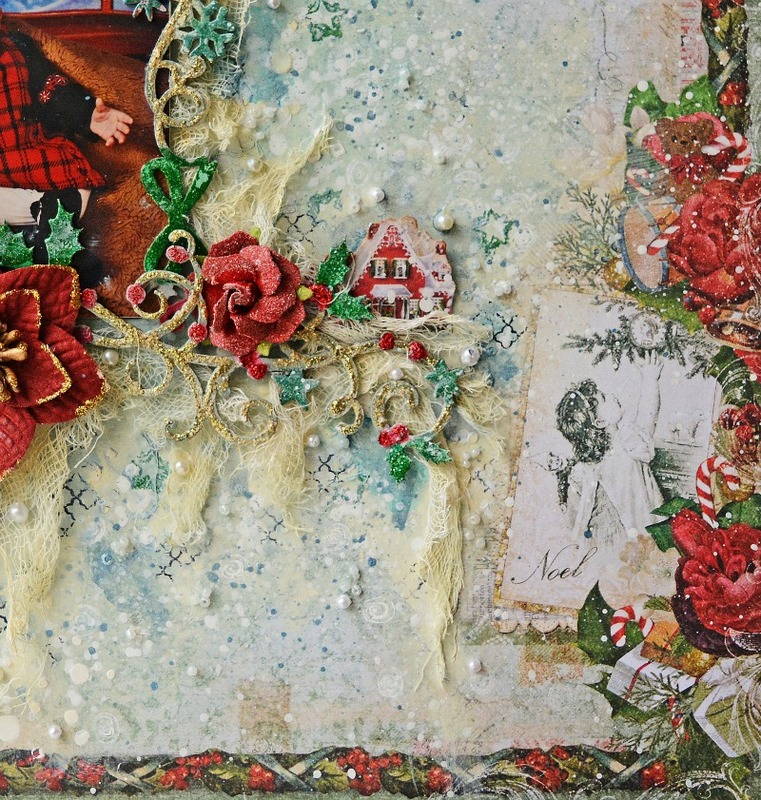 I worked with the December Limited Edition kit featuring: Victorian Christmas collection by Frank Garcia for Prima Marketing, Vintage Christmas by Blue Fern Studios, Authentique papers, three Pima flowers packages, chipboards,charms, sequins, Color Blooms, alpha stickers and more.... another stunning kit that you will love it! 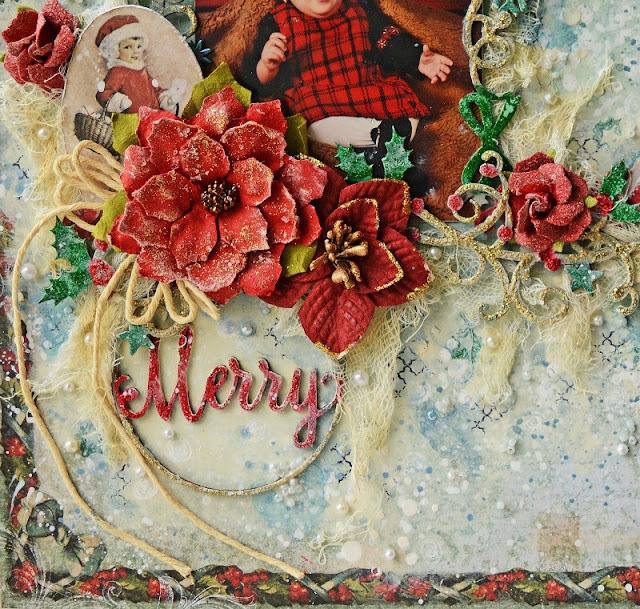 Here is one of my projects with the LE kit, I used one of the Prima Finnabair cards for the previous Nov LE kit for this page. 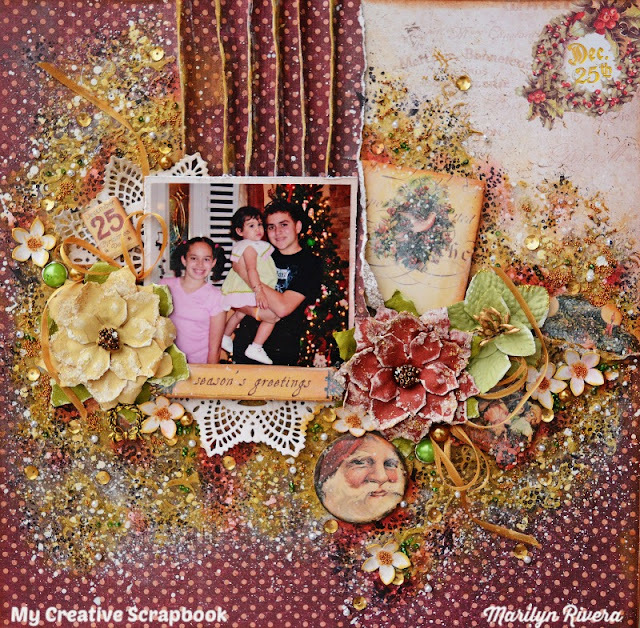 This kit is the perfect Christmas gift !!! 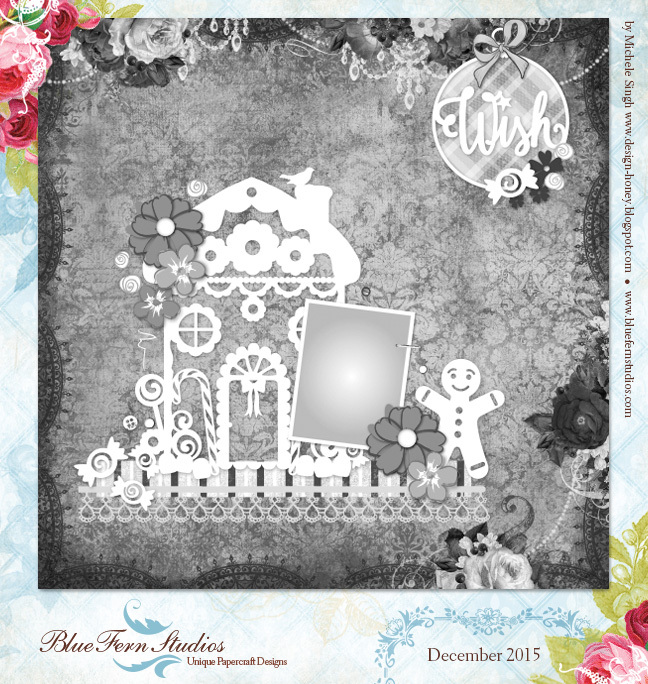 Blue Fern Studios - Two New Collections and a new sketch challenge!!! We are excited to announce that we have 2 new paper collections for you. 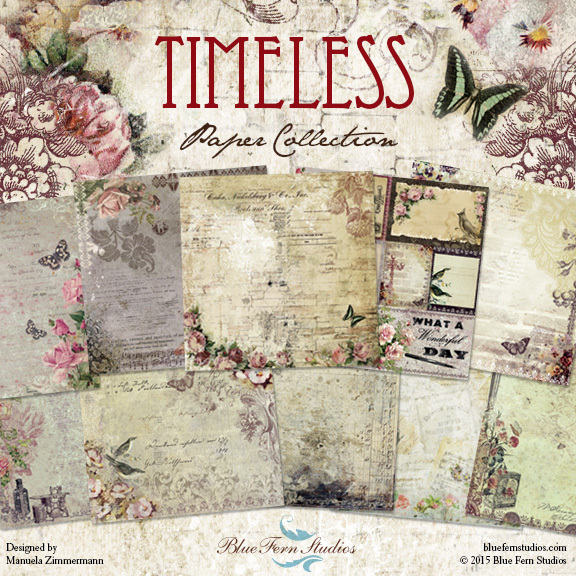 The first one is our Timeless Paper Collection. You will love the vintage, distressed look. 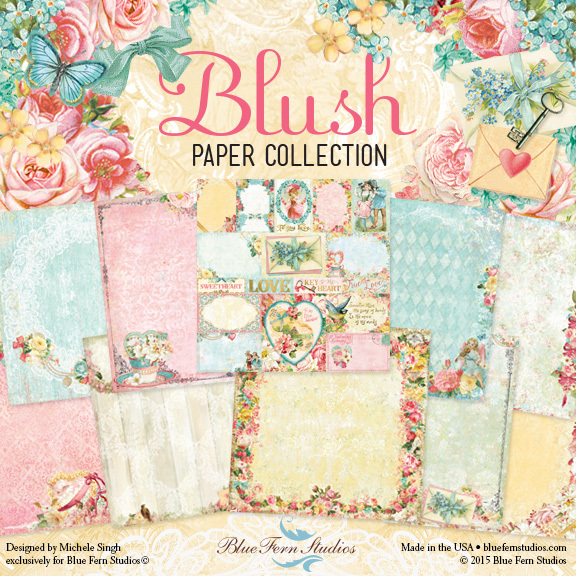 The second is our Blush Paper Collection. This one features some gorgeous floral borders. 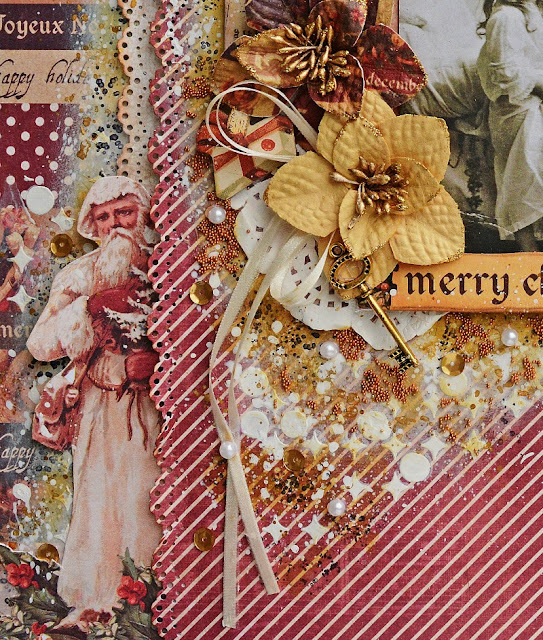 It's hard to believe this is our last sketch challenge of 2015! 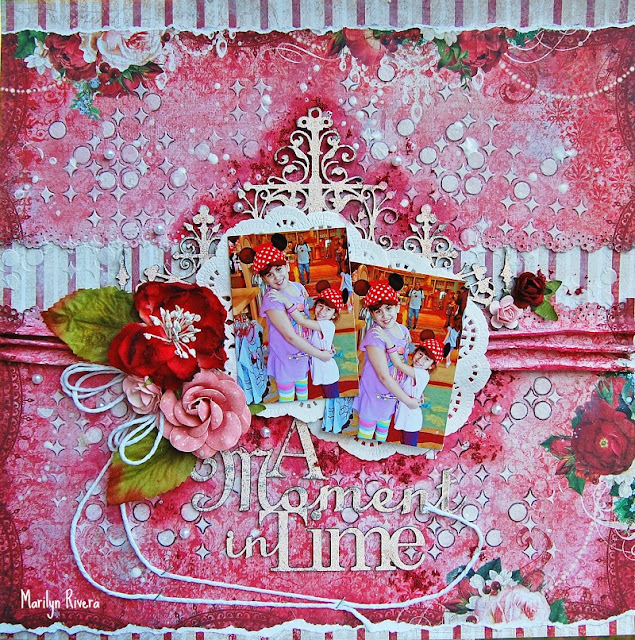 Our sketch designer, Michele Singh, has once again given us a beautiful sketch to work with. 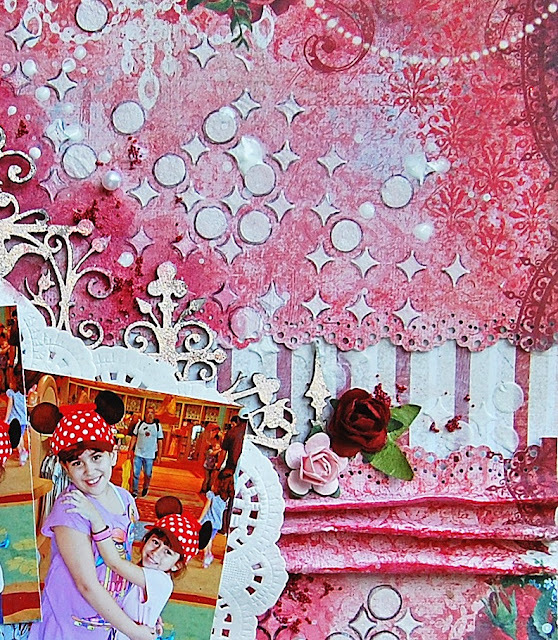 Doesn't it just make you happy?